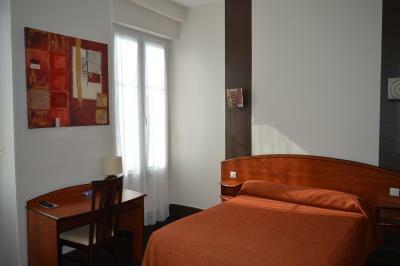 Lock in a great price for Hotel de La Paix – rated 8.1 by recent guests! Nice old hotel with modern facilities. Car parking was free and secure. Staff friendly and helpful. Spacious modernised room with some nice character touches. Very comfortable hotel convenient for the centre of town. 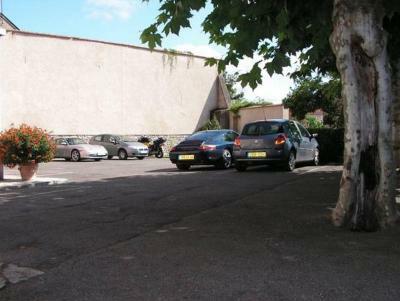 Good car parking within the grounds and an easy walk into town. Not many bars or restaurants but the pizza restaurant opposite is very good and has a range of meals other than pizzas. The continual breakfasts were very generous. Bed very comfy . No air con so room too hot to sleep at night. Windows had to be open so traffic noise could be a prob. Located by busy roundabout and street has a market on Friday which is set up through the night and dismantled at 4 am . Very old fashioned hotel which we loved and it was immaculately clean . The town is run down but still lovely and the people mainly very friendly. Located near the Pyrenees . Altogether a great stay. Warm welcome in English, all very straight forward on arrival. Good sized continental breakfast. 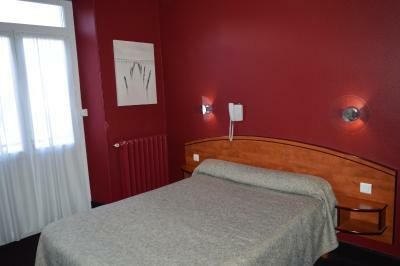 Clean and comfortable hotel in Oloron Sainte Marie in the French Pyrenees, without frills. Secure parking behind the hotel was appreciated. The breakfast was basic but tasty and there was plenty of it. 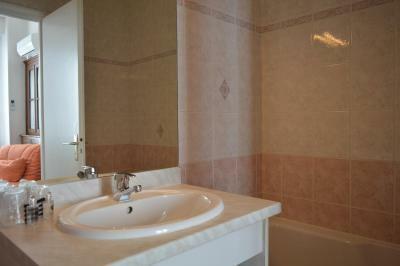 The en suite was particularly light and bright. 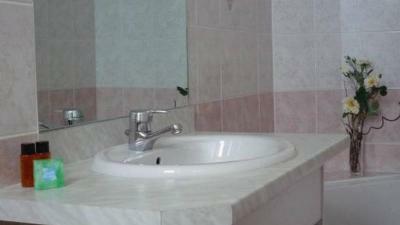 Very clean tiles, sink, shower and toilet. Only stayed overnight. Convenient for local restaurants. 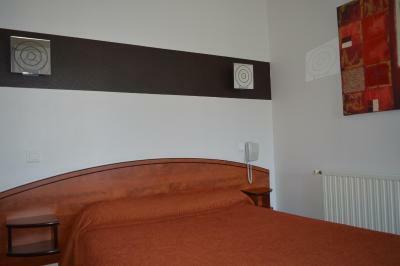 This hotel is very well managed, very well appointed, comfortable, and situated very close to the centre of a charismatic, traditional French town. The car parking is within the grounds of the hotel, and very secure. Their are views of the Pyrenees from the nearby bridge. 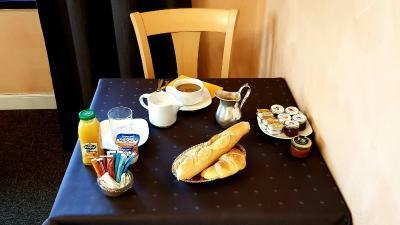 Hotel de la Paix is located in the in the center of Oloron-Sainte-Marie. It offers accommodations with private bathrooms and free on-site parking. Free Wi-Fi is available throughout the hotel. 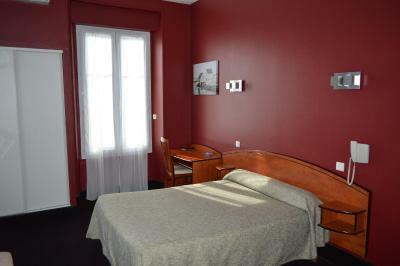 The rooms at Hotel de la Paix are equipped with a telephone, TV with CanalSat channels and private bathroom. Some rooms are air-conditioned. Guests are invited to relax in Hotel de la Paix’s lounge and explore the tree-filled grounds. Nearby activities include hiking, kayaking and biking. 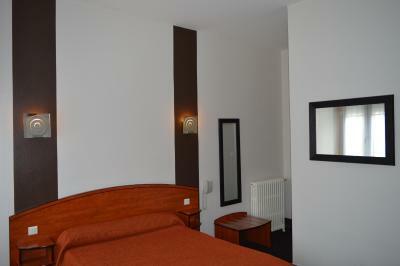 Hotel de la Paix is a one-hour drive from Pau-Uzein Airport and the mountains. 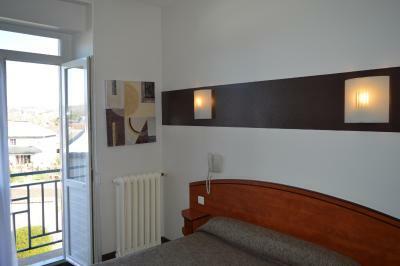 When would you like to stay at Hotel de La Paix? 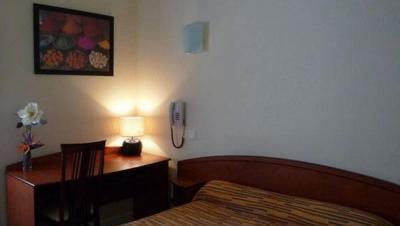 This air-conditioned room features a flat-screen TV with satellite channels and a private bathroom. House Rules Hotel de La Paix takes special requests – add in the next step! Hotel de La Paix accepts these cards and reserves the right to temporarily hold an amount prior to arrival. Please note that late arrivals after 19:00 cannot be accommodated. Please inform Hotel de La Paix of your expected arrival time in advance. You can use the Special Requests box when booking, or contact the property directly using the contact details in your confirmation. Friendly staff, clean room and location. Just perfect for us. 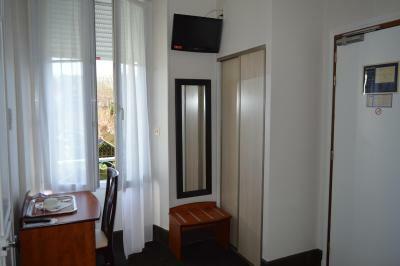 Charming small hotel located very close to the train station. Comfortable with good breakfast and very pleasant staff. Oloron itself is very attractive and well placed but very depressed with a great many shops boarded up. 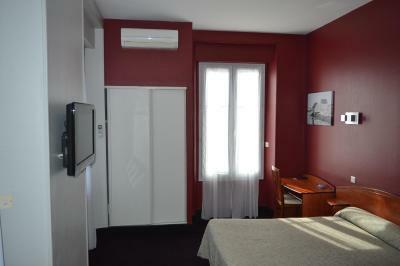 The room we had was quite small and very hot even with the electric fan on all night. Air con would help and there were no hot drink making facilities . Breakfast was a bit pricey and arrived pre selected on a tray. I would have preferred to choose what I would like from a buffet. No lift. We are in our late 70s and Had to carry our bags up steep stairs to our second floor room. Room looked ok but was not very comfortable. Woken up early morning by noisy traffic. No fridge in room or kettle to make a drink.